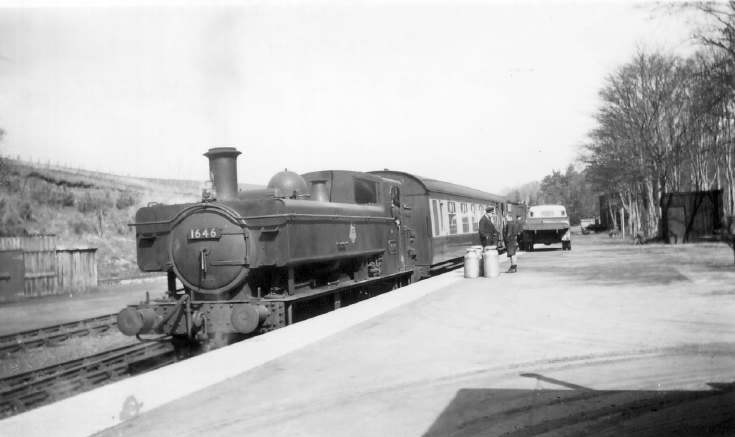 Monochrome photograph of 1646 Dornoch train at Dornoch - photograph taken at 12.30 p.m. 17 April 1957. Milk churns on the platform and a uniformed railway worker talking to a young boy. At the far end of the platform is a lorry, rear end facing the camera.